Claudio Sartori, founder of SARTORI S.p.A. in 1959, in a few decades brings the Company at the highest levels in the Amusement field and at present he manages it with the strict cooperation of his sons Manuela, Andrea, Massimo and Barbara who assure a qualified continuity. 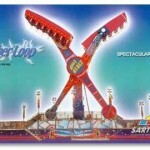 The attractions manufactured are more than 100 models with standard, themed or customized versions either for Amusement Parks, Shopping Centers and Carnivals. They include Children, Family and Major rides, totally manufactured inside the Factory by highly qualified personnel, according to the most rigid standard of ride quality and safety. 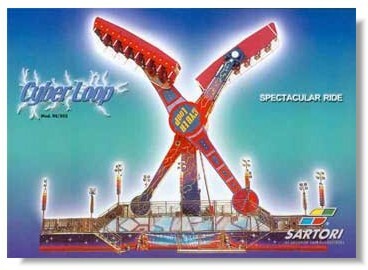 The wide range includes Kamikaze, Crazy Surf, Ferris-Wheel, Carousel, Turn Pike, Autoskooter, Jet-Ride, Kiddie Rides. The costant up-dating in technology and design for affordable and durable products allows the sales all over the world either for the single attractions and for the realization of complete Amusement Parks on “turn key basis”, also in those very strict Countries. The after sale service, improved and skilled during the years, guarantees a serious, continuous and regular assistance anytime, anywhere.